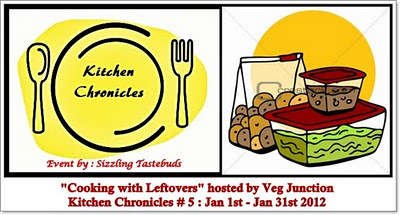 Dishes made using leftover always turns great surprisingly !! The larger amount of masala made for the chutney was not completely used off because of very lesser coconut avlby. So saved the rest for some other use the next day. Had bit sour idly batter and my masale went into it. During my recent visit to suburban Bangalore thatte idly was eye catchy because it made breakfast easy. 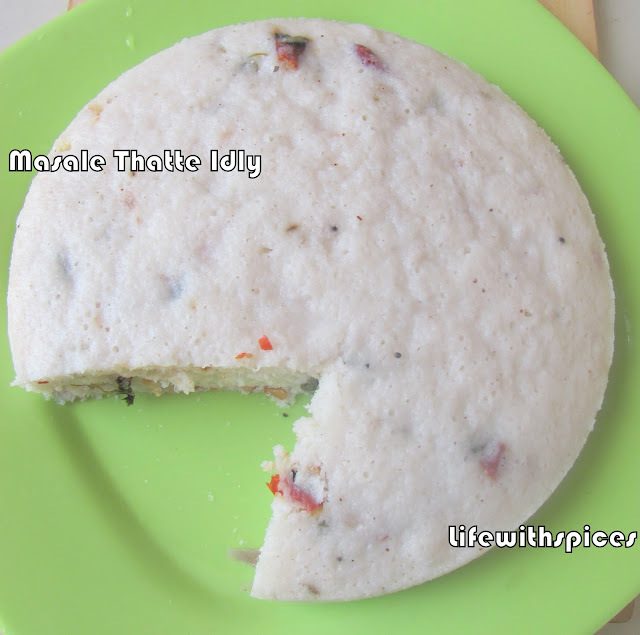 So the leftover masale and sour idly batter turned out to masale thatte idly and it tasted great. 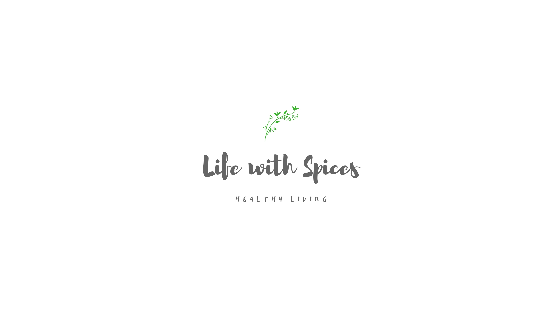 In a pan add oil once it becomes hot add mustard and cumin once they crack add dhals sauté well add coriander and mint leaves mix them well cook for 30 sec. Add onion, chillies, asafoetida, salt and sauté them well. Serve hot with Sambhar or any Chutney!! looking so tempting and delicious..perfectly done..
nice idea to do like this,looks yumm.. This sounds like a great way to use up leftover idly batter in an awesome way. Usually I make paniyarams with the sour idly batter, this sounds like a good idea, will definitely try this out..
Never know about this idly. Thanks for sharing kalpana. The idly looks great with the left over masala. love it... must be different and yummy! Simply excellent looking idli. Lovely preparation. That's a nice idea,Lovely preaparation...idly looks yummy!! Wonderful and delicious recipe.. looks absolutely perfect.. gr8 clicks too !! 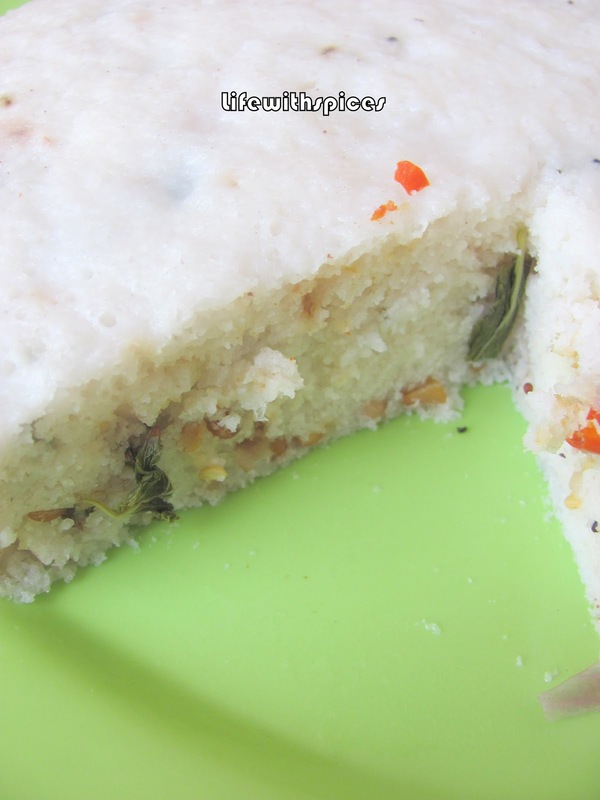 This is a great way to use up old idly batter..lovely recipe. Well done Kalpana, its been ages i had this thatte idly, beautiful leftover magic. I love this and my Mom makes it to get over with the old batter. wonderful idea and this looks so delicious..